Younes El Aynaoui and Igor Andreev pose for photos at the BMW Open player part. 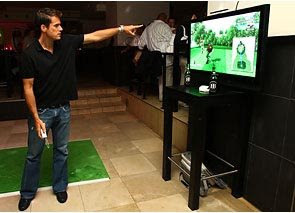 Tommy Haas plays an interactive golf computer game. While the players at BMW Open are taking a break to attend the player party, I'll be taking a break from tomorrow onwards till Monday. 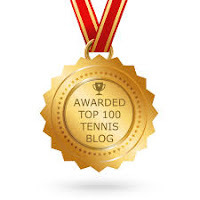 I'll be back again with more tennis updates in and off courts next week.